In Carolinas, a question as the rivers rise: Stay or go? 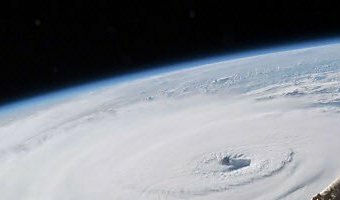 Claire Galofaro, Ap National Writer Updated 1:26 pm PDT, Monday, September 17, 2018 Now Playing: Aerial footage recorded on Monday shows the impact of Hurricane Florence on Carolina Beach in Hanover County, North Carolina. A state of emergency is in effect, and the town is observing a mandatory curfew from 8pm to 6am until further notice. (Sept. 17) Media: Associated Press FAYETTEVILLE, N.C. (AP) — The river seethed a quarter-mile away, bulging from its banks, so the patrol cars circled the neighborhood three times. "Get out now," a voice boomed from a bullhorn. "This is an emergency." Waheeda Reese and her 14-year-old daughter, Anissa, were inside watching news reports about drowned towns all over the state and rain that hadn't yet stopped. "All that water is going to come this way," Anissa said, trying to convince her mother it was time to leave. The city had taped a mandatory evacuation notice to their front door, and a friend in the fire department … [Read more...] about In Carolinas, a question as the rivers rise: Stay or go?